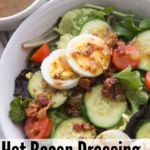 This Low Carb Hot Bacon Dressing for Salads is much like a tangy-sweet warm vinaigrette with crunchy bacon. Filling and versatile, and full of amazing flavors it takes a regular salad to an entirely new level. Years ago, I ordered a salad at Bennigan’s Restaurant with a Hot Bacon Dressing, and it made such an impression to me that more than 20 years later it came back to my mind. I’m pretty sure that bacon makes everything better and salad is indeed no exception to that rule. Especially when it is hot bacon infused with spices. 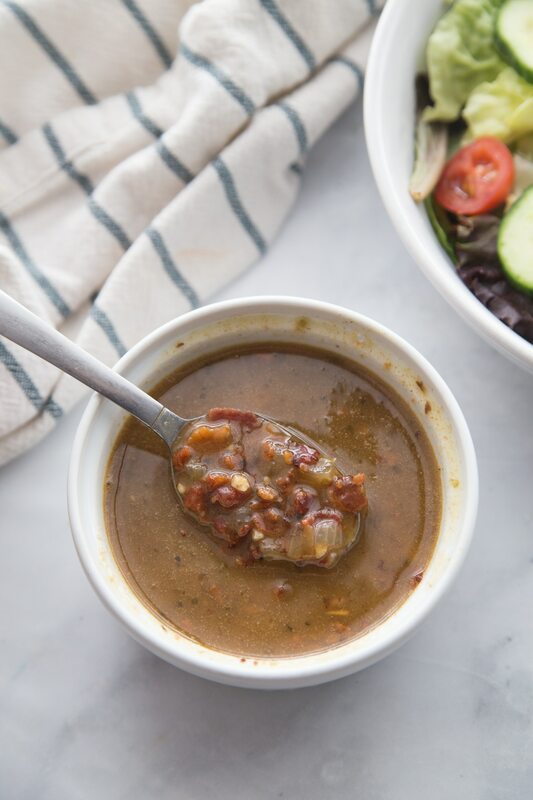 When I made this Low Carb Hot Bacon Salad Dressing for my family, I made a big salad with leafy greens and spinach and added keto fried chicken chopped into small pieces. If you prefer instead of mixed greens, you could just make a spinach salad. I topped the salad with cucumbers, cherry tomatoes, and boiled eggs then dressed it with this tangy Low Carb Hot Bacon Dressing. I’m kind of boring when it comes to toppings so there are many other options like avocados and such that would make a delicious addition. Tip: I cut up my bacon in smaller pieces so that it cooked faster since I was going to crumble it anyway. Make sure to get it nice and crispy for this recipe. You want all those yummy, flavorful bits of bacon to be brown but not burned. Monkfruit Golden works perfectly in this recipe for homemade low carb Hot Bacon dressing for salads. 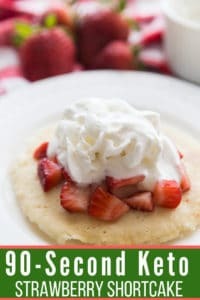 It is a sugar-free keto friendly brown sugar substitute that balances out the tangy vinegar flavor of this dressing. 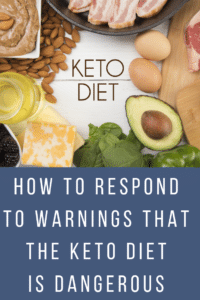 Don’t be afraid to make homemade keto friendly salad dressings as you avoid so many ingredients that those who follow a strict keto lifestyle omit from their diet. Plus, it tastes better than store bought and it is simple to make. 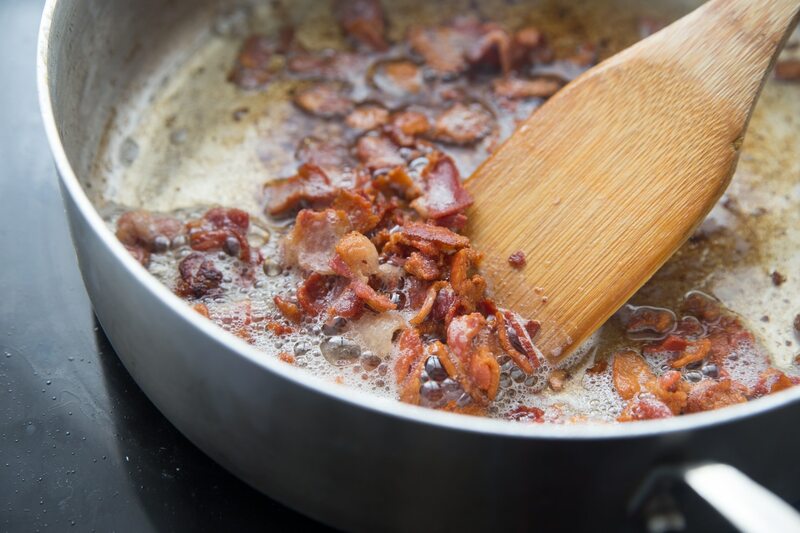 Once your low carb Hot Bacon Dressing has cooked down, crumble all of the bacon you cooked into smaller pieces and add them back to the dressing. 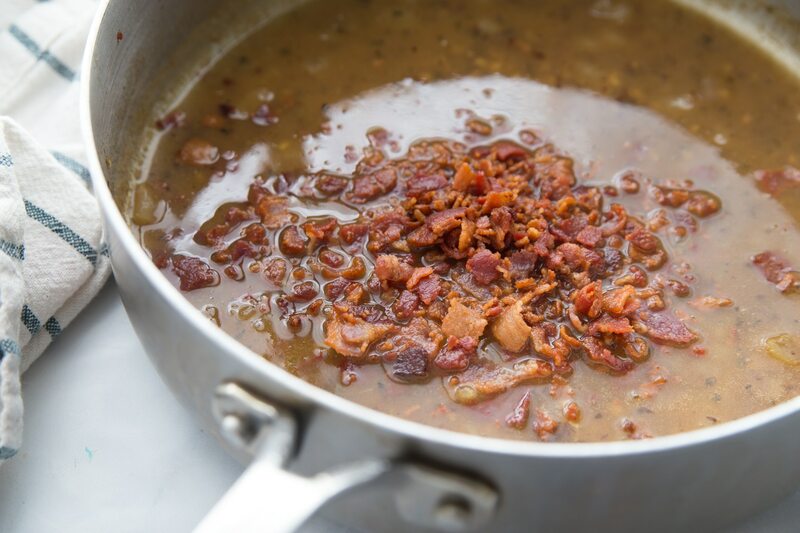 The crunchy bacon along with the tangy-sweet undertones of the vinegarette is an explosion of flavor that will leave you wondering why you aren’t making this at least once a week. 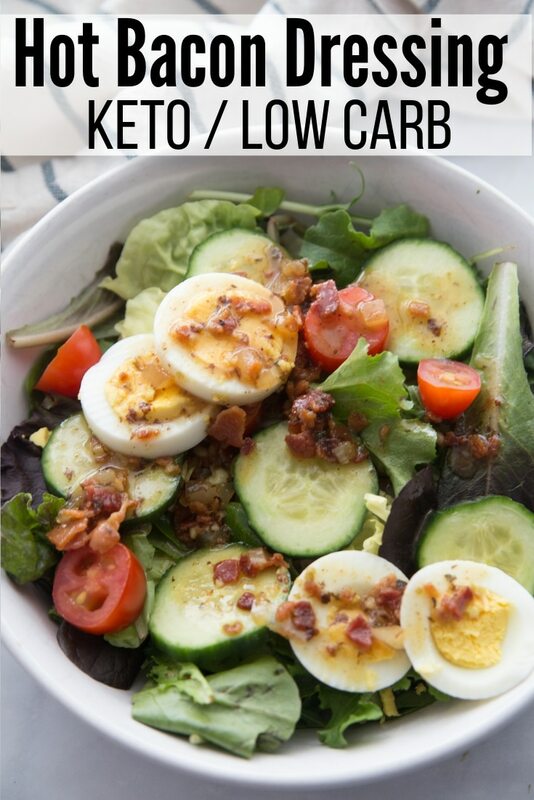 How do I make Hot Bacon Dressing Keto Friendly? It’s a simple recipe to revamp so that it isn’t full of sugar. Many use brown sugar in traditional Hot Bacon Dressing to give a sweet twist to the vinegar flavor, but in this low carb recipe, I used sugar-free Lakanto Monkfruit Golden. Lakanto Monkfruit Golden is a keto friendly brown sugar substitute. 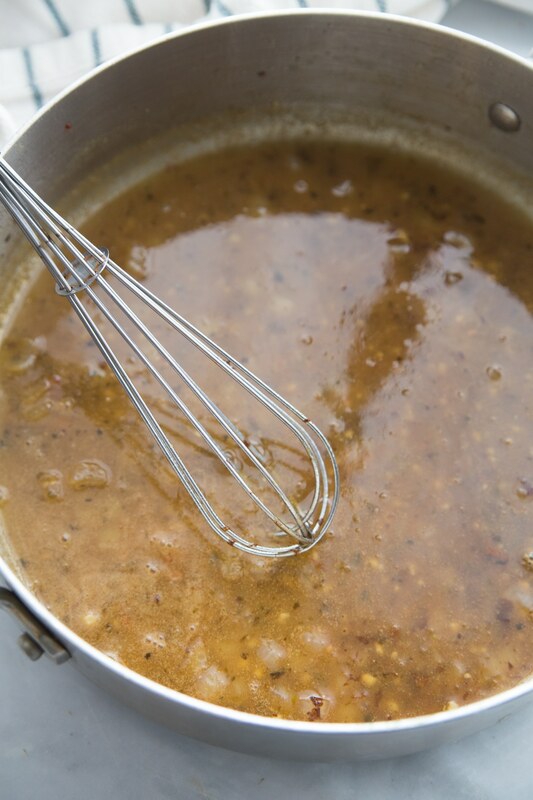 If you happen to have any Low Carb Hot Bacon Dressing leftover, the bacon grease will cause the salad dressing to gel once it has cooled, so you will need to rewarm and add a little extra water to enjoy any leftover. I feel like it is best served the first day so I don’t generally make enough to store for later. 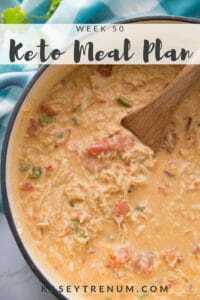 If meal planning is stressful for you, I post a weekly free meal plan. 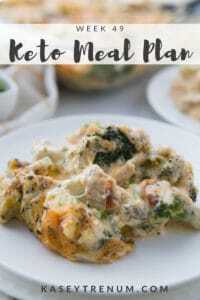 You can find a list of all my easy keto meal plans here for inspiration. 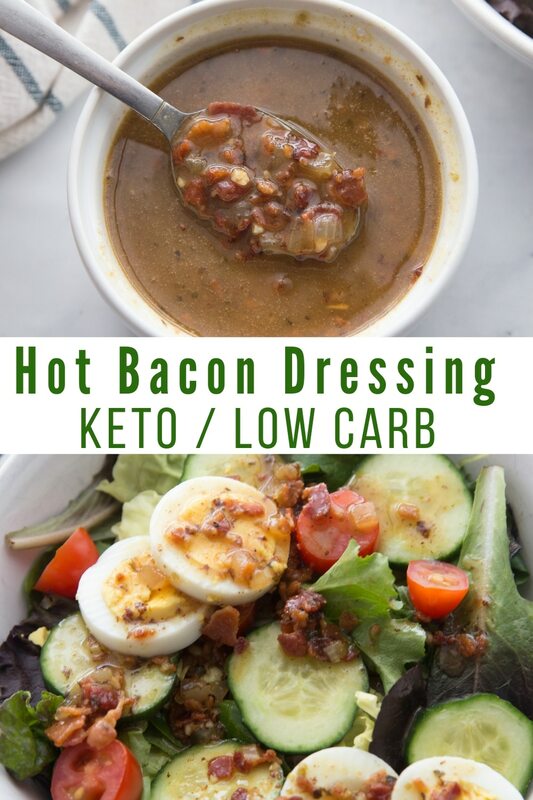 This Low Carb Hot Bacon Dressing for Salads is a tangy-sweet hot vinaigrette with crunchy bacon that is easy to make and keto friendly. Chop the bacon then saute it in a skillet until very crisp. Remove the bacon from the grease and set aside on a plate covered with paper towels to absorb excess oil so that it continues to crisp. Once it has cooled to the touch, crumble into smaller pieces. 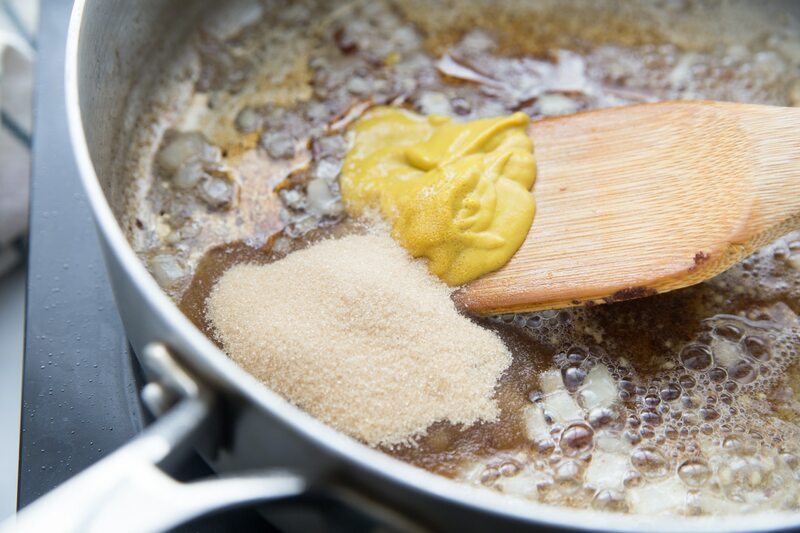 Keep 1/3 cup of the bacon grease in the skillet and remove the rest if there is any excess. It should render approx 1/3 cup. Add the fresh minced garlic and chopped onion to the skillet and saute in the bacon grease until the onion is translucent. Add all of the other ingredients and bring to a boil. Boil uncovered for 5 minutes or until the Low Carb Hot Bacon Dressing reduces stirring with a whisk to avoid sticking to the pan. Remove from heat and add the crumbled bacon to the dressing and stir until thoroughly combined. To serve after being refrigerated you will need to rewarm and you add additional water since the bacon grease will become firm in the fridge. 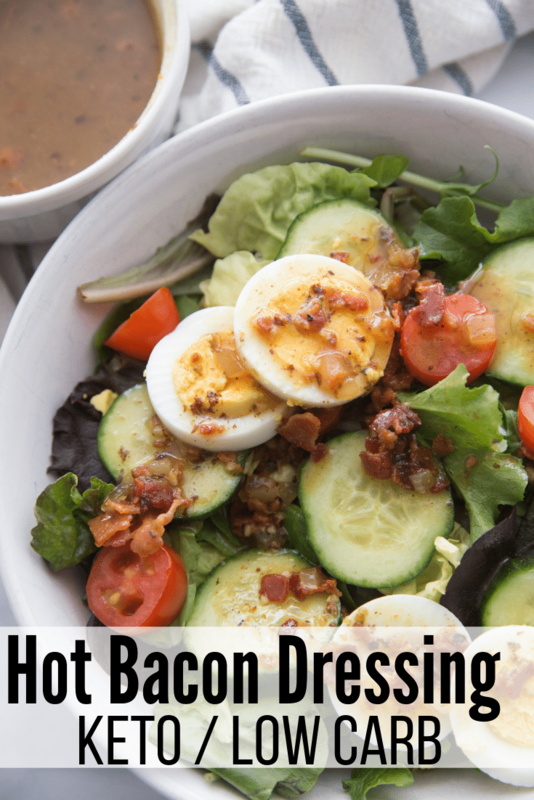 This recipe makes approx 1 cup Low Carb Hot Bacon Salad Dressing. The sugar alcohols in the Lakanto Monkfruit Golden are included in the nutritional information because most subtract to calculate net carbs. I’m for sure going to try this. My husband and Zi used to love the hot bacon dressing at Texas Steak House! 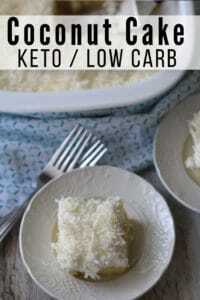 What is the net carbs, or did I miss seeing that listed. Thank you. There are no carbs in this salad dressing.